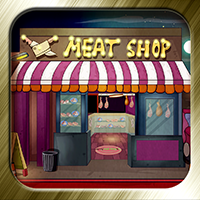 Description: 1992nd-The True Criminal – Meat shop: In previous game, an evidence found is a business agreement between the pizza shop of Jessica and the meat shop of John. In this agreement, Jessica signed for Pizza shop in the name of Pat Garvish. This shows that the girl Jessica is the descendant of Pat Garvish. It strengthens the assumption that this case can have a connection with the old issue that happened between the Binny's gang and the Pat Garvish's gang. This rises doubt on John. So we have to go to meat shop for further investigation to gather information to find the true criminal.